Cincinnati is known far and wide as a city of the arts, and there’s no limit to what you can experience once you’ve been acquainted with the best live theatre in Cincinnati! These five playhouses, performance troupes, and programming committees are our favorite entryways into the city’s thriving theatre scene. Between their accessible “Off-the-Hill” Touring Shows, their innovative “Off-the-Grid” immersive experiences, and their mastery of classics like this season’s A Christmas Carol, there’s something for everyone at the Cincinnati Playhouse in the Park. Their celebrated performance and production teams do it all, and they do it very well. The Ensemble Theatre’s “Artistic Mission and Leadership Statement” stresses the importance of inclusivity and accessibility, as well as “the transformative power of the arts,” and that’s exactly what you’ll encounter in this Over-the-Rhine playhouse. Their professional and forward-thinking teams focus on innovative, socially-conscious works from contemporary voices. The Know Theatre bills itself as “Cincinnati’s Theatrical Playground,” and you’ll be hard-pressed to disagree with their assessment once you’ve experienced their exceptionally engaging performances and their incredible sets and costumes. The Know Theatre has worked to integrate with the Over-the-Rhine community through programs like the Jackson Street Market, which offers local artists a chance to make connections and acquire resources. Children, teens, and adults alike will find plenty to enjoy at The Children’s Theatre of Cincinnati. Their wide array of workshops, residencies, class, and resources for educators are just as well-known, and well-regarded, as their lively, engaging plays and musicals. There’s no better local venue to see all of the Broadway classics than at Cincinnati’s gorgeous, 2700-seat Procter and Gamble Hall, located at the Aronoff Center for the Arts. Broadway Cincinnati hosts large-scale productions of shows like Hamilton, RENT, and Fiddler on the Roof, attracting audiences from Mason to Columbus, and beyond. 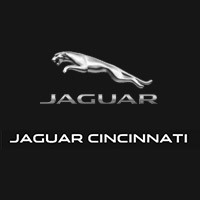 Our local connections make us a great resource, so whether you’re looking for information on Jaguar motor oil or just want to know where to find the best Cincinnati chili or best nearby golf courses, you’ll want to keep up with our blog. Contact us today to learn more about what we do.